The US Virgin Islands doesn’t have a new governor just yet. 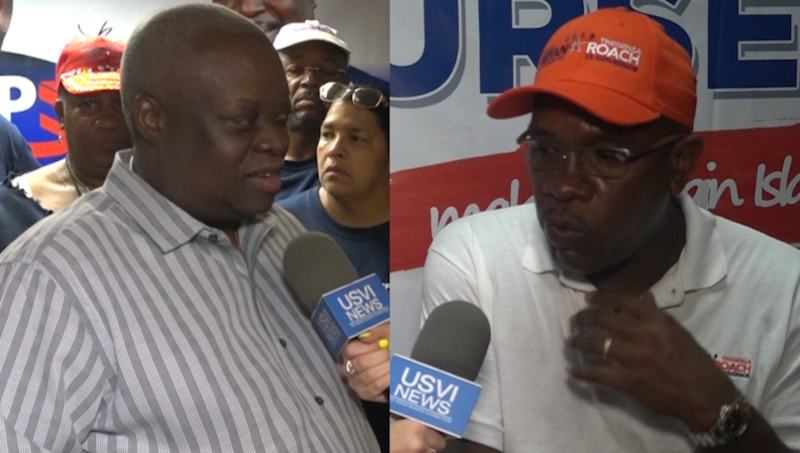 Current Governor Kenneth Mapp and Democratic candidate Albert Bryan go on to face each other in a special run off election November 20th. It was a large playing field in the race for governor, 7 candidates vying for the spot. USVI Correspondent Kellie Meyer caught up with both candidate just after their win. “How are you feeling tonight? Fantastic I mean there is no other feeling like it I mean such a tremendous outpouring of support from Virgin Islanders I just really, really am grateful to have this opportunity to now be in the runoff. You know we won an election against an incumbent that had a lot of hurricane money. They’re claiming all these promises. We’ve been battling for the last three weeks. You know it feels really good for me and my team to be able to overcome that,” Bryan said. “I’m feeling really good. We clearly as I indicated before the election we would be in a runoff. We certainly expected it to be the Bryan Roach team that the core Democratic party in the district of St. Thomas and St. John would be able to deliver him out of the pack of seven. But as Governor let me take the opportunity to extend my warms congratulations to all of the new members the newly elected members of the legislature of the Virgin Islands it will be the next legislature that will be seated in January and extend my warm congratulations to our Congresswoman. The race starts anew,” Mapp said. Now analysists said the race is going to get even more heated in the next two weeks.